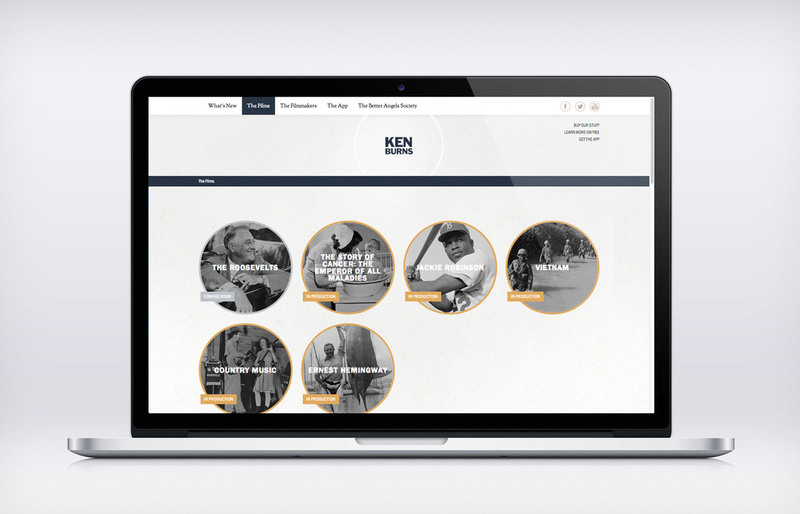 When Ken Burns's new app (created by Big Spaceship) was about to be launched, Ken and his team were in need of a new site, very quickly. As a fan of Ken's work, I was honored and thrilled to be able to help out, and created the design of the responsive site, taking visual cues from the app. The site is fully responsive, and takes advantage of Ken Burns' wealth of beautiful imagery. You can visit the live site at kenburns.com. 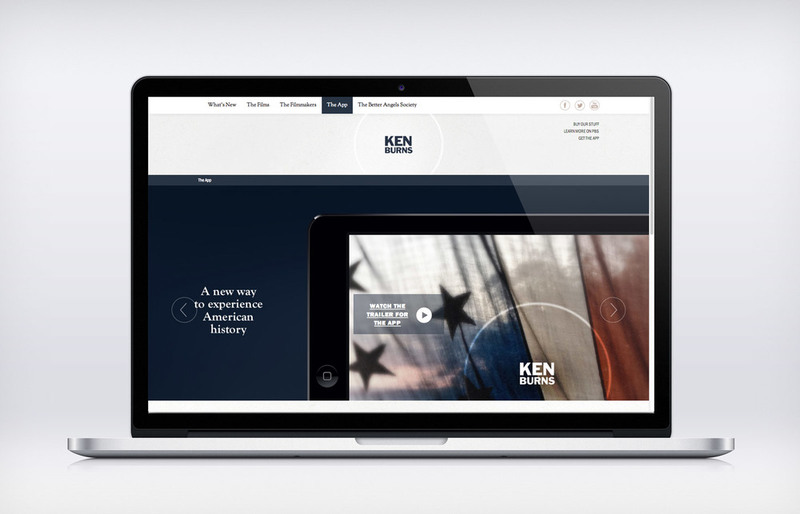 When Ken Burns's new app (created by Big Spaceship) was about to be launched, Ken and his team were in need of a new site, very quickly. I was honored and thrilled to be able to help out, and created the design of the responsive site, taking visual design cues from the app. The site is fully responsive, and takes advantage of Ken Burns' wealth of beautiful imagery. You can visit the live site at kenburns.com.